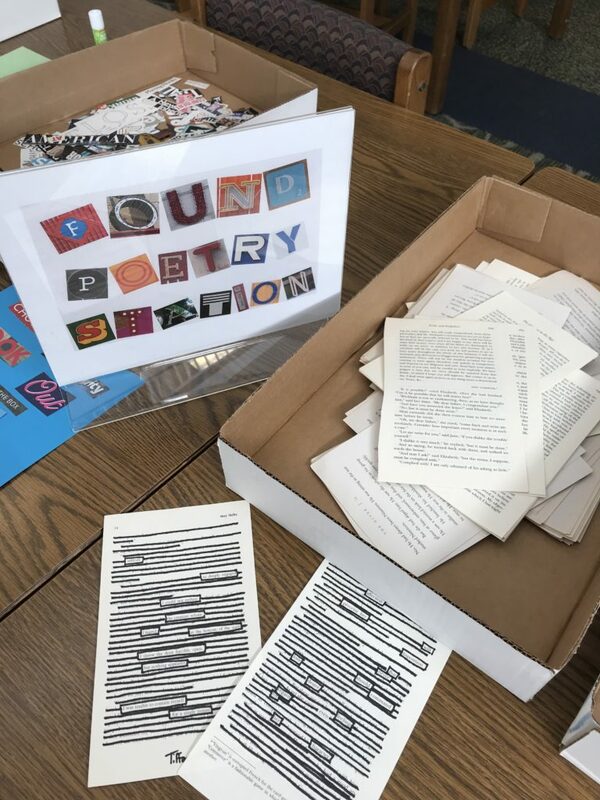 With such a late Spring Break this year, I was really excited to offer our students some fun, hands-on ways to create and celebrate National Poetry Month in our library. I posted these fliers around campus to encourage students to visit the library and celebrate with us this week! I was inspired by my friend, Laura Foy, who is the librarian at a nearby middle school. 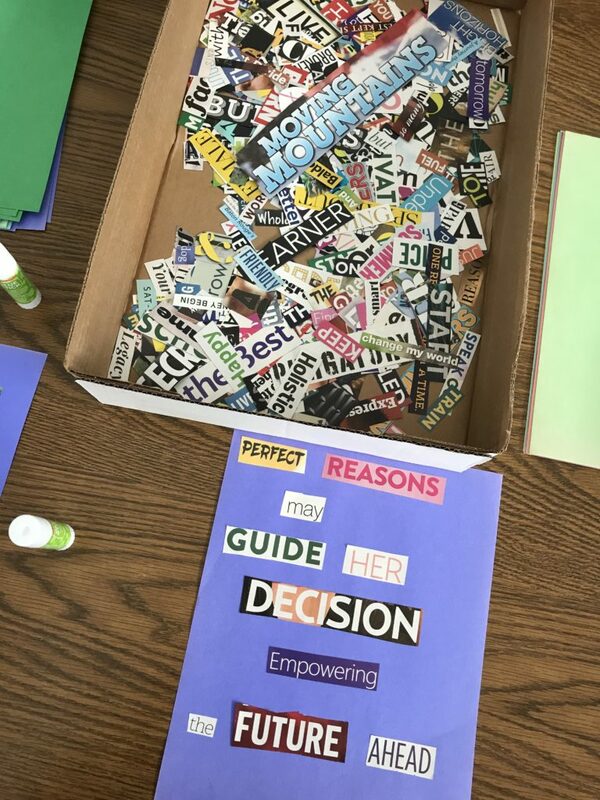 She posted her poetry station and I knew this was something I could put together pretty quickly and my students would enjoy the opportunity to get creative. I definitely recommend following Laura’s library account on Instagram — she’s doing really cool things and constantly sharing! 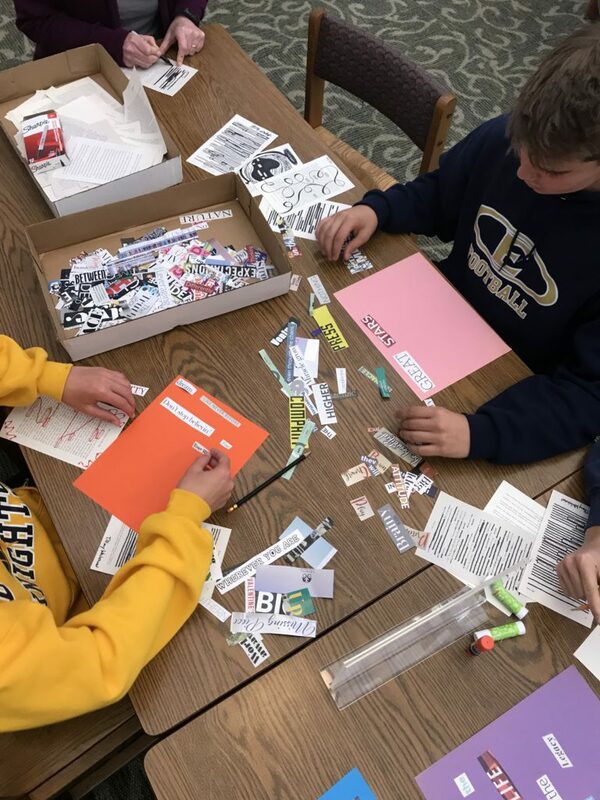 We cut out a ton of words from magazines and pages from discarded books so students could create their own found poems and black out poetry. 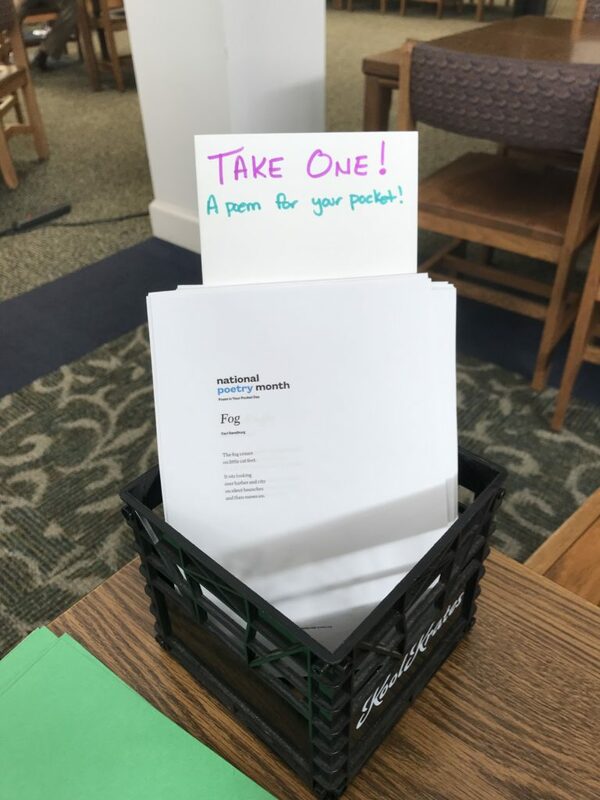 I also printed out some poems for students to take from the Poem in Your Pocket Day collection. 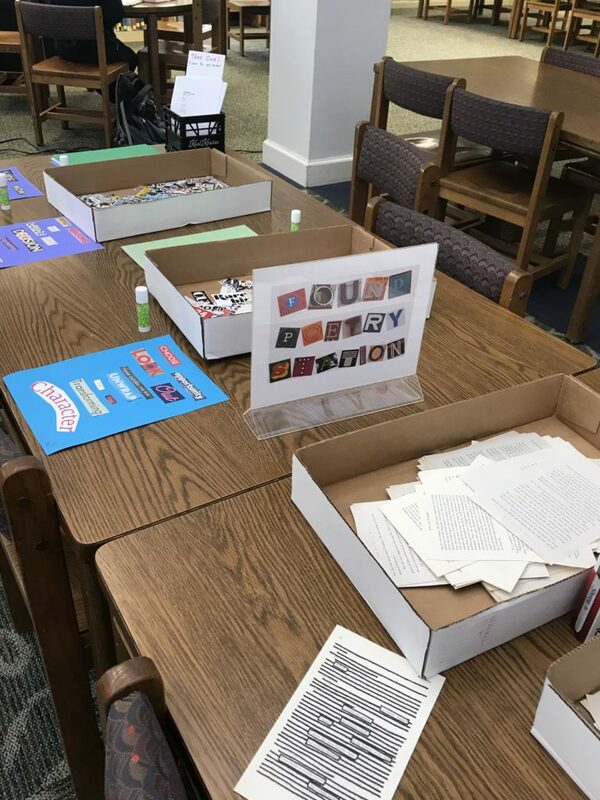 We are having a great time celebrating National Poetry Month with these activities in the library. 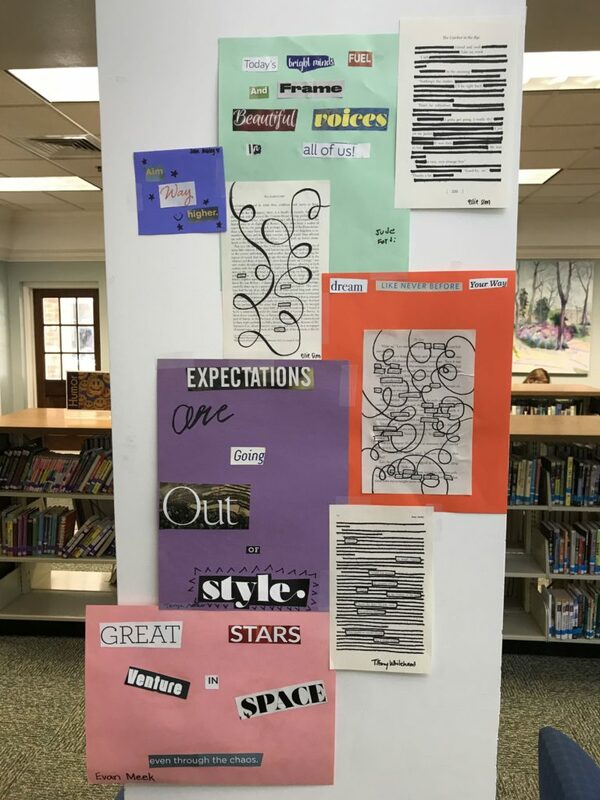 Students have been creating poems during their free time in the library. 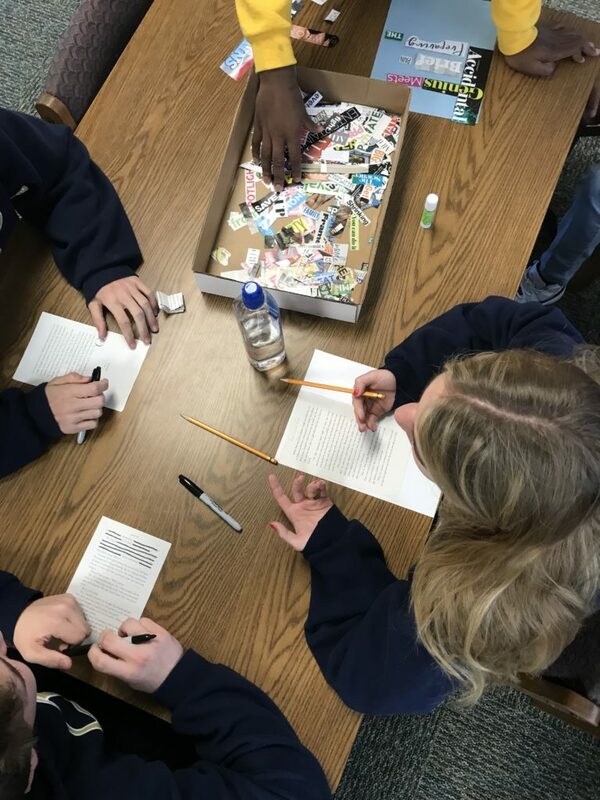 One of our English teachers who is in the midst of her poetry unit with Sophomores is bringing her classes by to join in the fun. I’m looking forward to adding more to our celebration next year. 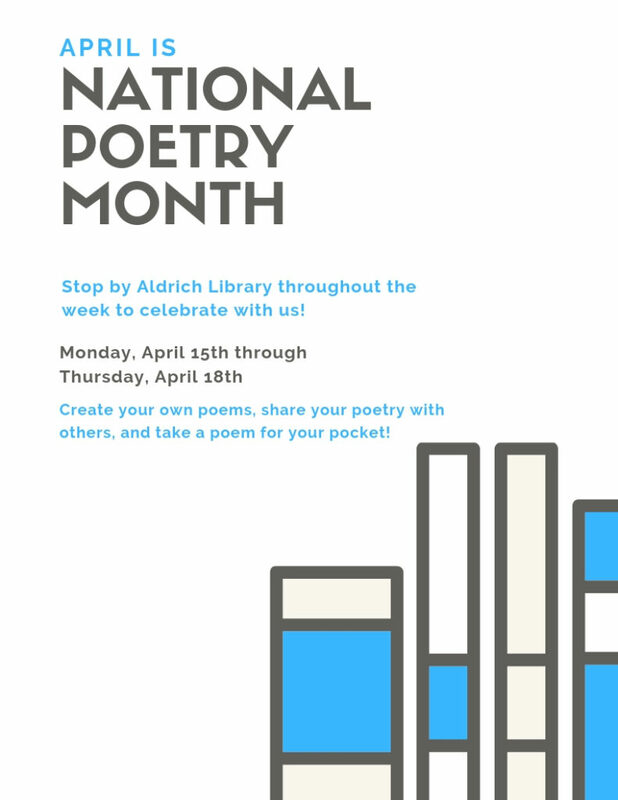 What are some fun things that you’ve done to incorporate National Poetry Month into your classroom or library? ← Reminder: Awesome Library Resources Available! My library student advisory board is running a collaborative poem contest for 9th hour students. There are only a couple rules and the hope is that students will just enjoy creating and working together. We are using a life-size cardboard cutout of Sam Winchester (Supernatural) to encourage participation. He “shows up” in various classrooms as a reminder to continue composing verse throughout the month of April.